Many growers of vegetables are purists and believe that you must have a traditional garden to grow the best tomatoes. We beg to differ! Container gardening will allow a huge variety of plants to grow where a garden plot isn't practical or available. For instance, apartment dwellers have only their small patio or balcony, but they shouldn't be deprived of the pleasures of growing their own produce. Others grow their produce in containers to be able to conveniently provide the most sun and personal attention to their plants. And some just prefer the portability of containers, making their plants mobile. The best part about container gardening is the choice of suitable containers. Five- or ten-gallon plastic pails, wood barrels, feed troughs, decorative pots and even black plastic trash bags will hold soil and will provide excellent environments for your tomatoes to thrive. You only need to ensure that your tomato plants are situated where they'll receive ample sunlight. 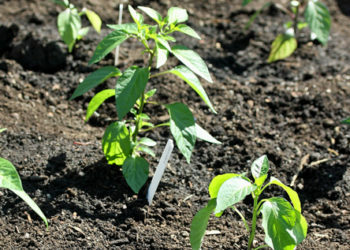 Then, you'll have to provide the right moisture to satisfy the watering needs of each plant. Tomatoes love heat and should be grown where they not only get full sun, but also are protected from strong wind. They also need well-drained soil, meaning your container should have proper drainage holes at the bottom, and the soil should not be allowed to dry out to the point that the plants droop. Healthy tomato plants become top heavy, especially as they bear fruit. They need support, whether growing in the ground or in containers. One of the most well-designed support devices is the GroPole, made of recycled UV-protected plastic materials and reusable for years. Stick it in the soil next to your young plant. It expands from 24 to grow right along with the plant, up to 60 tall! And it's notched so your support ties stay in place. Its green color blends right in with the foliage. And best of all, it's very affordable! There are two types of tomatoes: determinate and indeterminate. 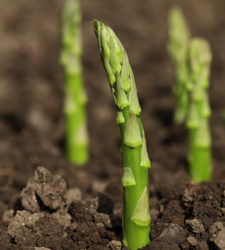 The second type will keep growing taller and wider, and will produce fruit continuously throughout the growing season. The first will reach its mature size and then produce its fruit all at once. Both styles of plant will do well in containers. If you're interested in growing tomatoes but don't want to commit to a full garden, these varieties will thrive with a nutrient-rich soil, consistent moisture and lots of sunlight, even if you're limited on growing spaces. The other advantages of container gardening are that you can keep your plants in locations that are pest-free, protected from adverse weather conditions, and are close to your water source. Since the roots are more confined in containers, be sure to start with a good soil mix, and then fertilize your plants regularly as they're growing to make sure they have healthy roots and stems. Garden Harvest Supply carries everything your soil needs in the way of amendments and food to help you grow a bountiful supply of homegrown tomatoes this summer. Bon Appetit!